Here is the online image gallery for BVAA member James Hunt. James’ photography exposes the interdependent and often conflicted relationship between humanity and the natural environment. He has worked in the wilderness of Massachusetts’ Quabbin Region, the cities of New York, Boston and Worcester, the Delmarva Peninsula and Eastern Shore of Virginia, the Outer Banks of North Carolina and most recently the Blackstone River region of Massachusetts and Rhode Island. 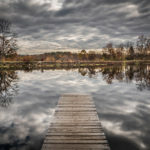 James’ images have been featured in solo exhibitions at the Jewish Community Center of Worcester, the Sorenson Center for the Arts at Babson College and the Westborough Public Library. 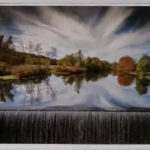 His work has also been exhibited at the Brush Gallery in Lowell, Massachusetts, the Rockport Art Association and the Griffin Museum of Photography. He has self-published a number of photography related books including most recently, Mysteries of Manteo, available on Blurb. James’ portfolios,”Constructing Quabbin” and “Lost in the Water” were both published in Black and White Magazine. Two of his images were recently chosen by the National Park Service Blackstone Heritage Corridor for inclusion in their 2018 calendar. His images have been presented at juried exhibitions at the Providence Center for Photography in Providence, Rhode Island and Photoplace Gallery in Middlebury, Vermont. James was also chosen by ArtsWorcester in Worcester, Massachusetts for a one person show, “Under the Highway: Blackstone Landscapes” at the Hanover Theater Gallery in Worcester beginning in June 2018. James is a graduate of the Professional Photography Program of the Center for Digital Imaging Arts at Boston University and has also participated in workshops at the International Center of Photography, Maine Media College and the Griffin Museum of Photography. James is associate professor of management at Babson College in Wellesley, Massachusetts where he teaches entrepreneurship and talent development. His has authored a number of papers and two books on creative careers and personal development as well as sustainability and social justice.He lives in Grafton Massachusetts with his wife Chris.